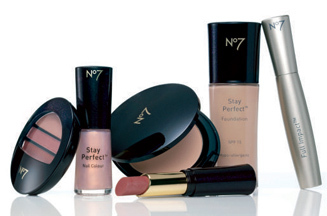 LONDON - Boots has entered the early stages of a major relaunch of No7, the UK's biggest cosmetics and skincare brand. The revamp will be rolled out across all aspects of the brand, including the product offering, packaging and positioning. The retail chain has begun customer research, but does not plan to carry out the overhaul until 2012. Boots' own-brand make-up offering, which includes No7, 17 and Natural Collection, is under pressure from L'Oreal, the UK's second-biggest cosmetics manufacturer. Since 2006, L'Oreal, which owns L'Oreal Paris and Maybelline, has increased its share of the UK market by 7.2% more than Boots, according to Mintel. Last week, Boots announced that it had hired Julie Davidson as brand director for No7. Davidson, who will take up the post in March, joins from Lastminute.com, where she was UK marketing director. She has also worked at L'Oreal, where for four years she was marketing director for Garnier and Maybelline, and responsible for all the brands' UK agency relationships. 'There are no plans to relaunch the No7 range in the near future. However, we continually review our ranges and products,' said a Boots spokeswoman. Boots last relaunched the 73-year-old brand in 2005 with a revamped logo and packaging and a wider range. In March 2008, it was revealed that Boots was planning a global promotional strategy to establish its No7 Protect & Perfect Beauty Serum as an internationally recognised brand. The anti-ageing cream became Boots' fastest-selling product, with sales up 163% year on year, after an appearance in an edition of BBC Two's Horizon programme.